If you already have an account on any site on the Soo Bahk Do® Network, then you can use those credentials to login to this site. 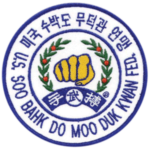 Note: the Soo Bahk Do® Institute and the Federation wiki each require their own set of access credentials which are different from the credentials used to log into this site and other sites on the Soo Bahk Do® Network. If you do not have user credentials and are seeking to access restricted content on this website and other Soo Bahk Do® Network websites, then register to gain access. You can also register by clicking the social media icons below (if displayed) or by filling out the form below. If you already have an account or encounter a message that your email is already in use, do not register again, just login.